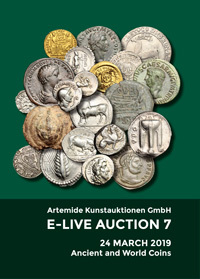 Coins 129 Greek Asia. Cappadocia. 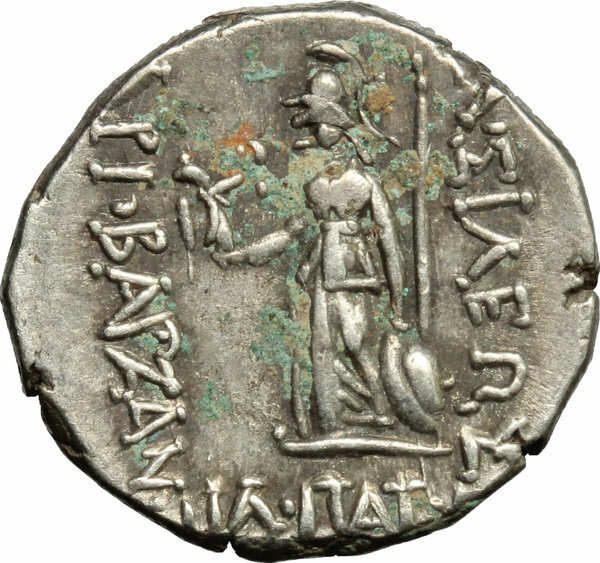 Ariobarzanes II. Philopator (63-51 BC). 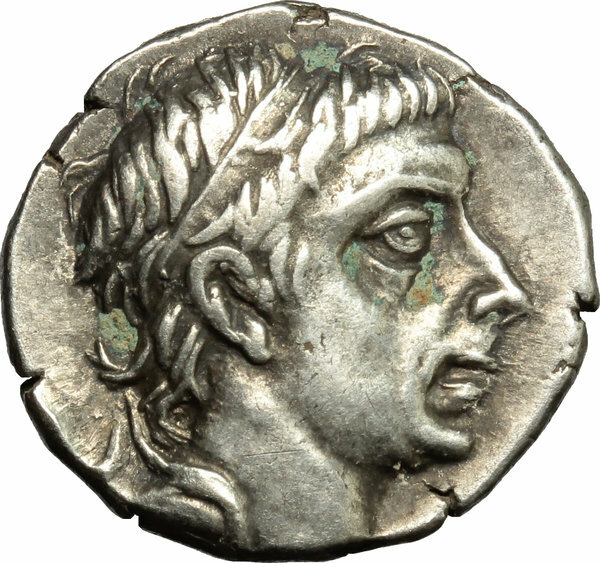 AR Drachm, 63-51 BC. D/ Head right, diademed. R/ Athena Nikephoros standing left, holding javelin, shield at her feet. SNG Cop. 161. Simonetta 2b. AR. g. 3.88 mm. 16.00 Partly green patina. Fine portrait. About EF.